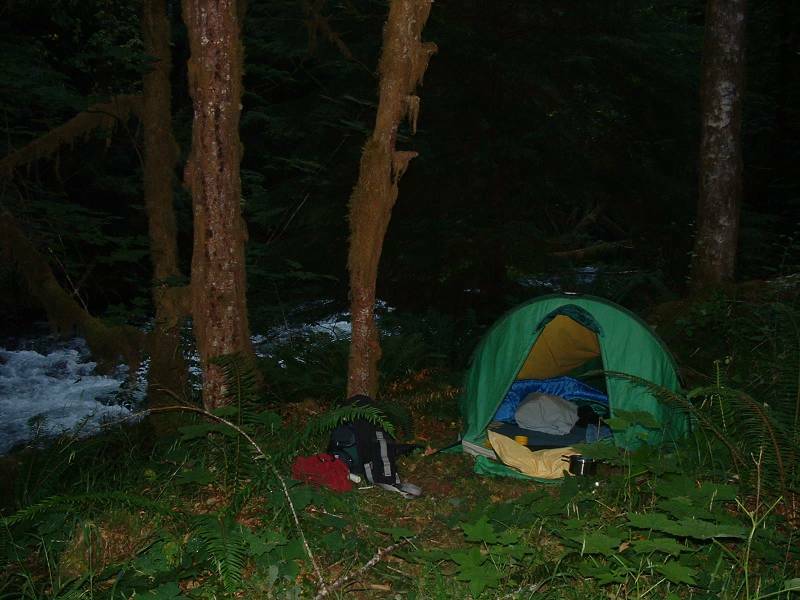 Its almost dark, and I have my tent all set-up. This is another picture of 'Lillian River' in the back ground. I like the sound of the river, its a pleasant sound to go to sleep by. The location of this spot is also close to #30 on the map. Lillian Camp is actually #30.